Australia’s status as the world’s second largest gold producer was likely to be maintained, in part due to the increasing spend on exploration. The Investor Insight report by the Perth-based public relations group Canning Purple said Australia’s gold miners have chalked up big spending budgets this financial year, after the latest round of official figures showed a big increase in exploration expenditure over the June quarter. Across the nation, about $A223 million was spent on gold exploration in the June quarter, with about three-quarters of that having taken place in Western Australia alone, according to data from the Australian Bureau of Statistics. Pearce said that looking ahead, Australia’s established gold miners have outlined their spending plans for the 2019 financial year and the numbers are nothing short of impressive. 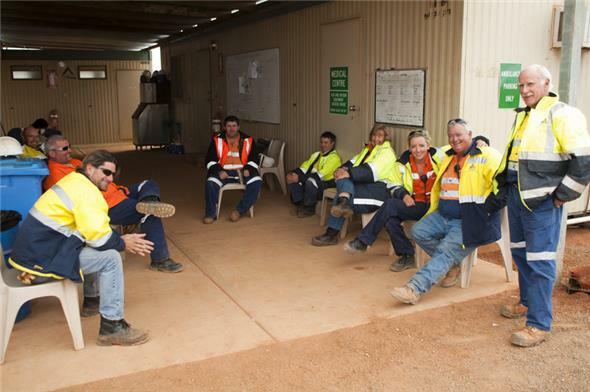 Saracen Mineral Holdings, which owns the Thunderbox and Carosue Dam mines north of Kalgoorlie, plans to set an in-house record of $A60 M on exploration spend in FY19, as it looks to target organic production growth to 350,000 ounces of gold per annum. Northern Star Resources announced at Diggers & Dealers last month that it had also committed $A60 M towards exploration for FY19; however, that was before the Perth-based miner announced plans to become a near-1 M oz per annum producer through the acquisition of the Pogo gold mine in Alaska. Newcrest Mining, which withdrew from exploration on NZ’s North Island last year, plans to spend up to $A320 M on exploration across Cadia Valley in New South Wales and the Telfer mine in Western Australia. Evolution Mining, which has also exited gold exploration in NZ, has inked a $A40 M budget for the current financial year, whilst St Barbara Mines plans to spend up to $A17 M across its Australian operations. A mining crew preparing to start work at Carosue Dam.